In Alaska — a place with dark nights for months at a time — making sure you can be seen while on the road is critical to your safety. Most fatalities involving pedestrians occur at places along the road that are not intersections, where drivers may not be looking for pedestrians or bicyclists. Another cause for injury is a newer concept called distracted walking. The emergence of this concern comes with the popularity of electronic handheld devices, like cell phones and portable music players. Distracted walking happens when you take your attention away from where you are walking or from what you can hear while walking. In 2013, Safe Kids Worldwide published a report called Teens and Distraction: An in-Depth Look at Teens’ Walking Behaviors. The report states that 20 percent of high school students and 13 percent of middle school students were observed crossing the street while distracted. Students were most often texting on a phone (39 percent) or using headphones (another 39 percent). Girls were 1.2 times more likely than boys to be walking while distracted. 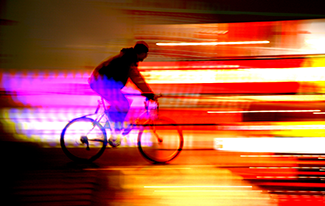 Alaska’s Bike-n-Walk Safely Program works with the state’s communities to address some of the challenges associated with dark nights and lower visibility. 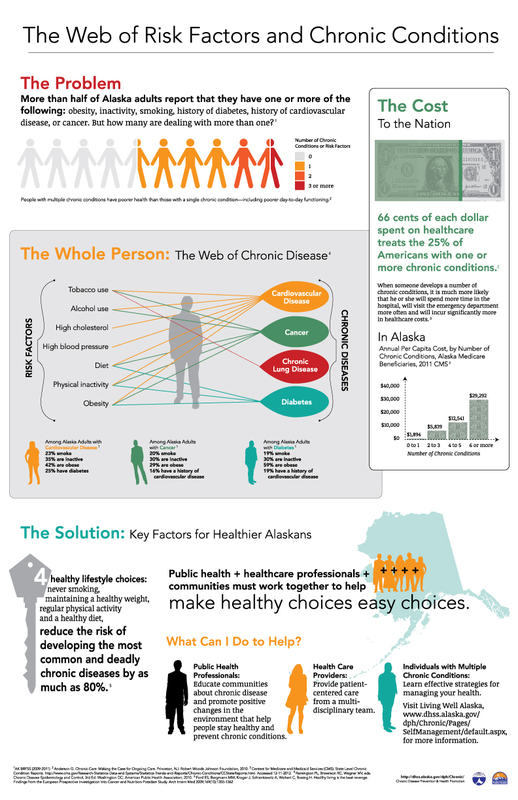 The program is part of Alaska’s Injury Prevention program and educates Alaskans about how to be more visible while on the road, provides materials like reflectors and helmets that make them more visible and safe, and offers a yearly bicycle safety training summit. In August 2015, a Bicycle Training Summit was held in Anchorage. Participants came from St. George Island, Kotzebue, Sitka, Fairbanks, Anchorage, and Juneau to learn about rider safety and visibility, bike handling techniques for rural and urban roads, bicycle mechanics, and properly fitting a bike helmet. Plans are being made to host a Bike Safety Summit in Fairbanks in the summer of 2016. Each year, Alaska’s Bike-n-Walk Safely Program gives safety event organizers and schools over 4,000 reflectors and other items that make bikers and walkers more visible. The program also provides other tips for people to stay “light and bright.” That means staying away from the back of vehicles and the driver’s blind spot, not playing in snow or leaf piles on the edge of a roadway, and not playing between parked vehicles. The Bike-n-Walk Safely Program is creating signs for Anchorage’s People Mover buses that will inform motorists, pedestrians, and bicyclists about what they can do to avoid distraction. The Distracted Walking Campaign on Anchorage buses will run for three months in 2016. 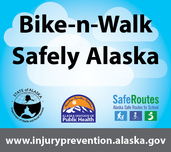 For more information on how your classroom or community event can promote pedestrian and/or bicycle safety, please contact Renee Rudd at (907) 754-3421 or renee.rudd@alaska.gov. National Highway Traffic Safety Administration Fatality Analysis Reporting System (FARS) 2004-2012 Final File. Safe Kids Worldwide Teens and Distraction: An In-Depth Look at Teens' Walking Behaviors.